† Gibbons lists and Scott mentions inverted and sideways surcharges. Tahiti became a French Protectorate in 1842 and a colony in 1880. 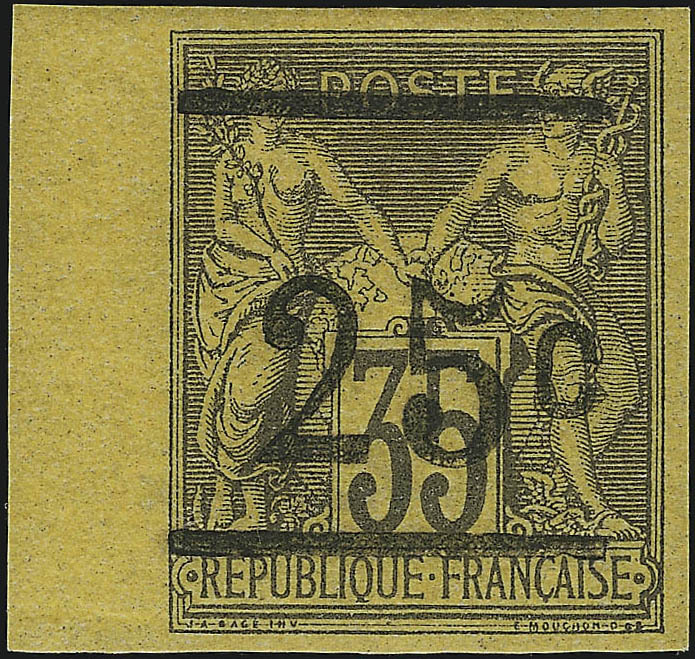 All the Tahitian stamps are overprints of French Colonies general issues or of French Oceanic Settlements stamps. 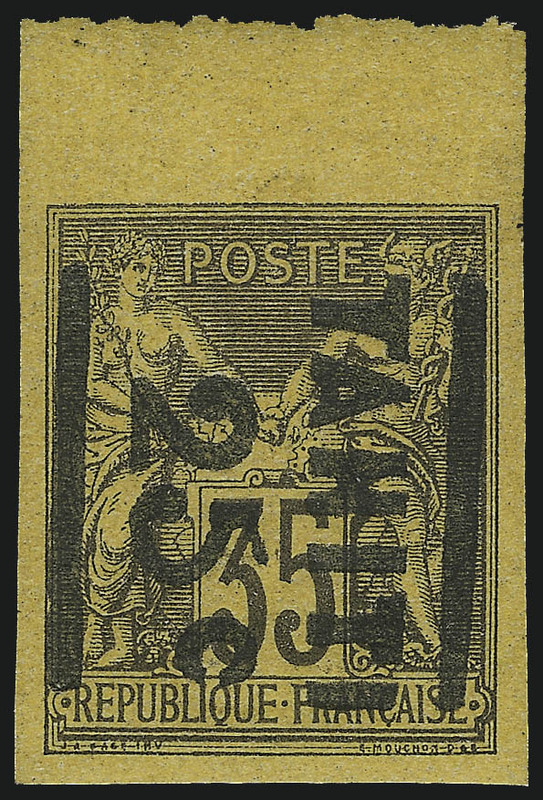 In 1903 Tahiti was joined with the other members of French Oceanic Settlements, having mostly used their stamps since 1893.